One of the great joys of gardening is watching flowering bulbs pop up in the spring time. If you want to bring in spring with a burst of beautiful color, you’ll need to start planting your bulbs in Autumn, meaning real soon! To prolong the enjoyment of your bulbs, make sure to plant varieties that bloom over an extended period of time. You can choose a variety of early, mid and late season bulbs that will burst forth with their colorful bounties over most of Spring. Choosing the right bulbs can be fun. 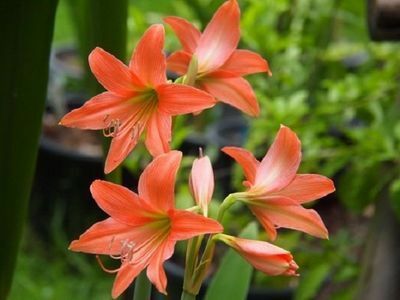 You can find sun loving bulbs, shade loving bulbs, ones that attract butterflies and bees as well as drought tolerant and deer resistant bulbs. Here in Northern California, we have a large selection of bulbs that can be planted in the Fall including daffodils, ranunculus, Anemone coronaria, Spanish bluebells, grape hyacinths, freesias and Dutch iris. Make sure to read the planting instructions that come with your bulb purchases as some spring bulbs, such as tulips, hyacinths and crocuses will need to be pre-cooled before planting. To pre-cool your bulbs, put them in the fruit/vegetable bin of your refrigerator for 6 to 14 weeks. Make sure you do not store them with any ripening fruit, as they can give off ethylene gas which could possibly damage your bulbs. Once you remove the bulbs from the refrigerator, plant them as soon as possible. This time of year it’s easy to find bulbs for sale, they are pretty much available everywhere from nurseries to garden centers and even at many Costco locations. After your bulb purchase, plant then quickly in a site with lots of sun and well-drained soil. Make sure to add a few inches of compost in the soil to help them on their way. It’s always a good idea to plant more then you think you will want as some of the bulbs will not sprout. One final note, if you have gophers, voles or other burrowing creatures, you may want to either purchase a bulb cage or place the bulbs in chicken wire to help protect them from the little varmints. Check your roses, flowering trees and shrubs for aphids or caterpillars. The most important thing now is to identify the problem then deal with it right away. 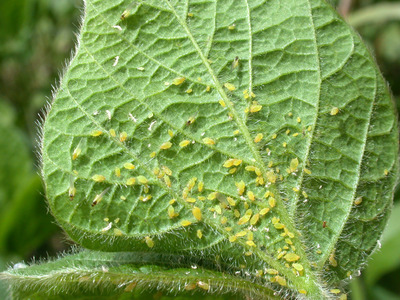 There are organic and pesticide remedies to eliminate these pests…the choice is yours and all are available at your local nursery and garden centers. Turn your sprinklers back on for the spring, let them run through a watering cycle, then walk around the property and inspect the irrigated areas for suspicious wet spots, muddy holes and dry areas. Do not just turn on the irrigation system and forget about it. Even though the irrigation has been off for the winter, it can still get damaged by freezing temperatures, voles and moles, nozzles get plugged with hibernating insects and solid mineral deposits which harden off from your water source. Weeds! Check all your flower beds and lawns for early spring weeds, it’s best to catch them now and start to eliminate them so they don’t reach maturity and are more difficult to deal with later. Again they can be removed by hand, mechanically or with a herbicide. Once all the weeds are eliminated you should mulch your flower beds to deter weeds and to help hold moisture in your soil. Mulches to use would include compost, bark varieties, recycled organic mulch…all available at garden centers and landscape suppliers. Mold, Mildew and Fungus are very common in the spring and are mostly present on plants that are in the shade; or plants that get watered at night without sufficient drying time come morning. Flowering plants like roses are susceptible to black spot, rust and powdery mildew…and the fungus is spread by the drip drip drip from one leaf to another. Again there are organic and chemical methods to eradicate this problem…if you are a do it yourselfer consult your local nurseryman, if not inform your landscape maintenance contractor about what you have found.